What separates Illinois public high schools? Illinois is a diverse state with high schools spanning rural and inner-city communities, serving wealthy and low-income students of different races, and offering different sports and academic programs. So how can we understand what separates Illinois schools? 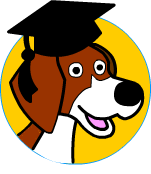 Schoolhound compared 563 public high schools in Illinois on 36 variables that span school teachers, students, programs, sports and community characteristics. We then reduced these 36 variables to 2 main descriptive factors through a Machine Learning technique known as Principal Component Analysis. The most important factor (Factor 1) is a combination of school size and geography. We interepreted this based on the variables that were most important such as Total Enrollment, Racial Diversity and School Location. The chart below shows how each of our 36 variables contribute to Factor 1. The x-axis is a single dimension that moves from left ("Large Urban") to right ("Small Rural"). The y-axis shows how important the variable is in Factor 1. For example, "Total Enrollment" is the most important variable. We chose to put the term "Larger Enrollment" on the lefthand (Large Urban) side. We also put the term "Smaller Enrollment" on the righthand (Small Rural) side to help in understanding. "Further South" is based on the latitude of the school's location and could have been added to the lefthand (Large Urban) side by writing "Further North." We chose not to do so as to not clutter the graph. We can see smaller rural schools are also associated with greater income diversity, while urban area schools have greater racial diversity, AP enrollment and sports offerings. Small rural school communities live longer in their homes and are more likely to send their children to public school, while urban area school communities have higher incomes and housing values. The second most descriptive factor (Factor 2) signifies the socioeconomic status of the school's students and the underlying community. Outside of race and income, we can see affluent areas are associated with higher teacher retention even though the salaries are not necessarily higher. Also, notice how school size is not important in Factor 2, even though it played a large role in the Factor 1. There are other factors which we could dive into, but we would next like to show you how Schoolhound can benchmark schools using these different factors. Be on the lookout for some neat analysis in our next blog post.